"Let us feel like the owners of our country, it is very important. If you think that Lithuania belongs to the politicians, to the Seimas or someone else, that's where the problems begin. 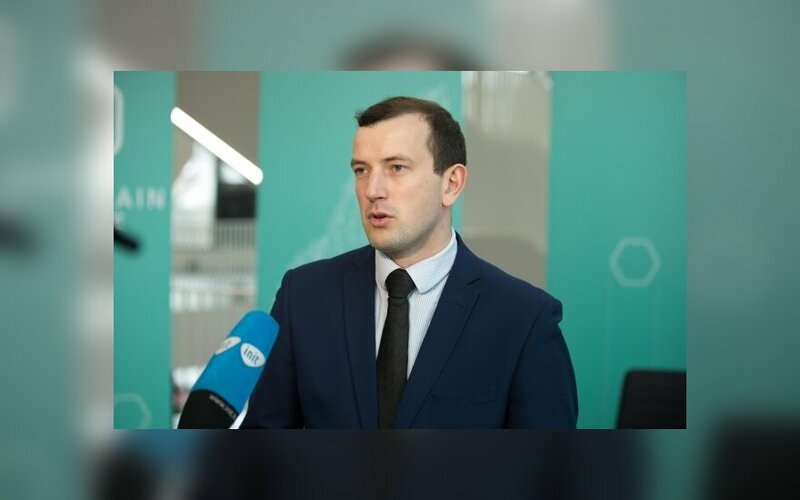 Lithuania is primarily your country," the youngest member of cabinet, Minister of Economy Virginijus Sinkevičius says according to LRT.lt. For the occasion of the centenary of statehood, the LRT Television talk show Dėmesio Centre invited the prominent politicians from the young generation – Liberal Movement Seimas group deputy prefect Aušrinė Armonaitė, Minister of Economy Virginijus Sinkevičius and Social Democrat party chairman Gintautas Paluckas. Contemporary and future Lithuania – what do we want it to be and what are we making of it? To professor Vytautas Landsbergis' words that politics should not be a profession, but a calling, A. Armonaitė notes that she believes it to namely be her calling, that she believes change can happen, even if not always as quickly as some may hope, she concurs that one does not have to finish political science studies to enter politics, as it is more of an art or a craft, than just narrowly a profession. V. Sinkevičius states that he turned to politics for the opportunity to implement change. "There are two ways: you either feel as the owner of your homeland and have the chance to contribute to changes or you passively observe and even worse – pack your bags and leave. 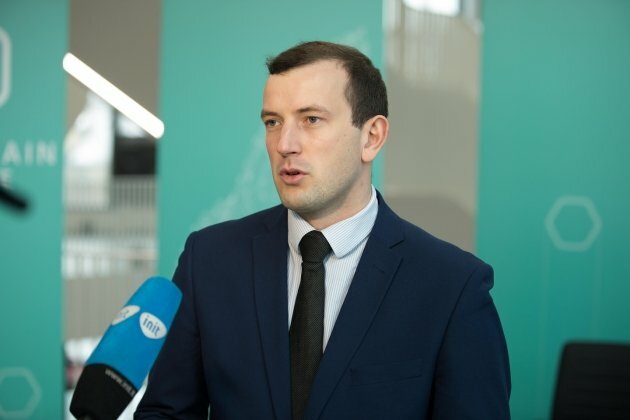 I believe that in 1990 we were granted the unique possibility to be the masters of our own country and it depends only on ourselves, what sort of state we will create," the youngest cabinet member states, emphasising that he is living proof of Lithuanian democracy – anyone else of his age could have reached the exact same position. G. Paluckas states that he also believes politics to be his calling, similarly to the other two young politicians he expresses a desire to change things, adding "Politics is a calling, it is a decision to, in a certain respect, sacrifice yourself." When asked whether politics has a negative influence on qualifications for professional work outside of the subject area, V. Sinkevičius states that being successful in the political sphere can reflect well in your CV and help build a further career, as long as one avoids getting overly attached to their post and manages to go out into the world following the experience. In this respect, G. Paluckas recalls how an MP, who after two terms in Seimas, failed to be re-elected and was faced with a major personal drama due to professional skills deteriorating. "But let this not deter young people from participating in politics because otherwise you will not have the drive and progressivity," he adds. In an earlier discussion on the show, former President Valdas Adamkus and Tomas Šernas found that there is a need for a generation shift in Lithuanian politics, with a Soviet mentality currently remaining prevalent. A. Armonaitė states that it is difficult to answer how matters should develop because talks of the need for a generation shift happened 15 years ago and 25 years ago, just as they are happening now and people who were born and raised after the declaration of independence are now entering government posts. At the same time, she notes that youth is no inherent advantage, with young politicians entering politics despite having by far not noble intentions. What matters far more, the politician says, is what content the up and coming politicians bring, not their age. With the painful generation shift of the Social Democrat Party where it split between the older party veterans and supporters of the new, young party leader, G. Paluckas finds that it is certainly a painful process in a certain respect where one group has to leave completely and a new one appears. He states that he finds that the processes ongoing in the Social Democrat Party should be replicated in other parties as well, pointing out how the Liberal Movement, for example, has had the same faces for the past 20 years. "Politics is always a power play and it causes a certain competition. We are on the path of change and it brings out various reactions," he observes. In terms of contemporary Lithuania and issues that hamper the state in moving forward, V. Sinkevičius says that every state faces unique challenges. To him the main ones for Lithuania are the separation between the major cities and regions, also emigration. Not only emigration in terms of departure from Lithuania, but also arrivals from elsewhere. "Will we wall ourselves off and prevent entry of those who wish to come, live and work here?" he asks, pointing out that rather than fundamental obstructions, these are important discussion points and that it is important for the discussion not to be cheap, based on emotions and narrow points of view. A. Armonaitė believes that a major issue is trust in one another, with the state needing to have more trust in its people, their decisions and personal responsibility. "I disagree with most of the current cabinet's decisions because they are based on distrust, they are descended from above like directives, what must be bought, what must be studies and such. It does not help in terms of trust in the broad sense," she says. G. Paluckas is more specific with issues he perceives, pointing out three core ones – efficiency in state government, lack of social capital and the psychological state of the public, which is converted into physical and social suicides such as emigration, alcoholism and such. He believes that a fashion of angry discourse has entrenched itself in Lithuania, attacks without arguments. A. Armonaitė observes that this way to her it appears that the Social Democrat chairman finds everything to be bad in Lithuania, she points out how angry discourse exists just the same in countries like the USA and in reality things aren't all bad in Lithuania. "Let us feel like the owners of our country, it is very important. If you think that Lithuania belongs to the politicians, to the Seimas or someone else, that's where the problems begin. Lithuania is primarily your country. I have never said you must love the government. You must love the country and that would help us all greatly," V. Sinkevičius emphasised. R. Urbonaitė. Wisdom is needed to implement legislation, but not really to pass it?